Medical Receptionist Diploma with City & Guilds/AMSPAR Level 2 Qualification is course run by Pitman Training Centre (Mullingar), Westmeath. It is a 'Blended - Mix of Classroom & Online' course with a duration of 140 hours or 6 weeks full-time study. Medical Receptionist Diploma with City & Guilds/AMSPAR Level 2 Qualification gives a Course Qualification of Diploma. For more information about Medical Receptionist Diploma with City & Guilds/AMSPAR Level 2 Qualification at Pitman Training Centre (Mullingar), please review the details below. The Medical Receptionist Diploma with City & Guilds/AMSPAR Level 2 Qualification course at Pitman Training Centre (Mullingar) is listed in Courses.ie's national courses finder. 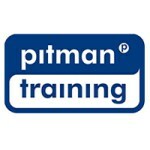 For information about Pitman Training Centre (Mullingar), please visit our Colleges page on Courses.ie by clicking here.